To begin with, the two powers that drive the market are supply and demand. They stand behind every economic, political, scientific, social, and market event. All markets in the world rely on them – the bulls and the bears alike, as well as their open positions. This article covers various strategies, approaches, styles, and techniques that all share one thing in common – they try to assess supply and demand. Some of them might be quite accurate, like, for instance, tricks by technical traders, although they, as a rule, lag behind the price. Others may lack this accuracy, like economic theories from fundamental Forex analysis. In general, all of this is quite poetic. Traders permanently change their sentiment from bulls to bears to bull, thus forming this very market they attempt analysing. They change it again with their new trades, so all of this resembles a snake biting its own tail. 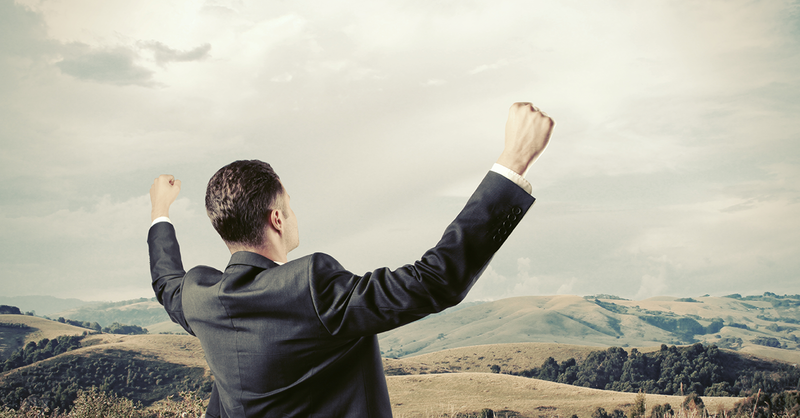 You should know that the best Forex analysis of supply and demand is the only way to becoming more advantageous than other traders and, in fact, the only road to success. The market is limited, so you have to be able to find ways to buy at lower price and sell at higher price compared to nine other guys out there. Otherwise, you simply lose. Technical Forex market analysis is to a large extent defined by being chart bound. Any time you take a look at a chart, you are conducting technical FX analysis. The logic behind chart analysis comes from the Dow theory penned by well-known Charles Dow. One of his major ideas was that the market discounts everything. In other words, his notion was that any influence over supply and demand would be echoed by the price and shown on price charts in real time. Moreover, classic technical analysis opposes taking into account anything beyond the price chart, believing this data to be irrelevant. 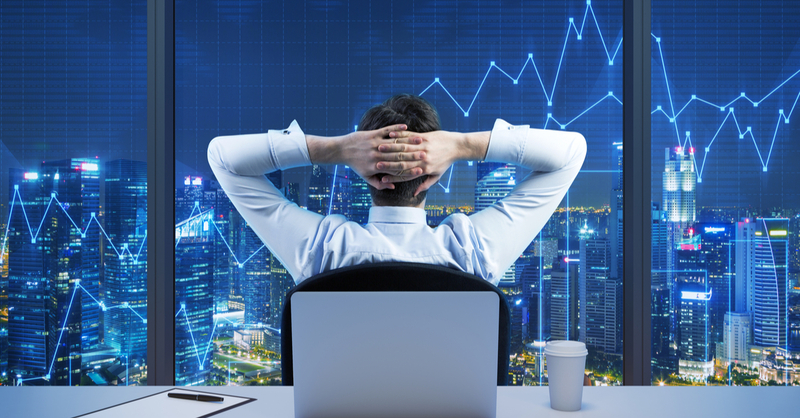 All of the above focuses on the largest restraint of the technical Forex analytics – it only looks at what has been already recorded by the market. This challenges a trader with the following: how is it possible to succeed if what he knows is just common knowledge? Price action is a subculture of the technical analysis in Forex. It has enjoyed popularity ever since Forex trading became well-known to the masses. Generally, price action agrees with major statements of the Dow theory, but it also believes that technical traders' tools, i.e. classic technical indicators, cannot grant the trader with any advantages over others on the market. This notion is the reason of price action popularity. Major indicator on which price action traders base their trading decisions is an asset's price and its moves. Such traders only rely on 'naked' charts for receiving their data and deem the rest of indicators just supportive. Price action trading is based on a perception that the market frequently returns to price levels at which it reversed or consolidated due to the remnant supply or demand at those levels. Let's look deeper into the notion of 'remnant supply and demand.' Why is it here? Consider how 'big fish' of the market trade – those institutional traders from banks, multinational companies, and hedge funds do not chase the market, but simply fill their orders at the desired price. Their Forex analysis today looks at the market's possible movements for the next month or year, and even if they see the market shift away from today's level, they never cancel their orders. So these positions are open waiting for the market to return. It's these open positions that warp the fabric of the market and bring the price back. 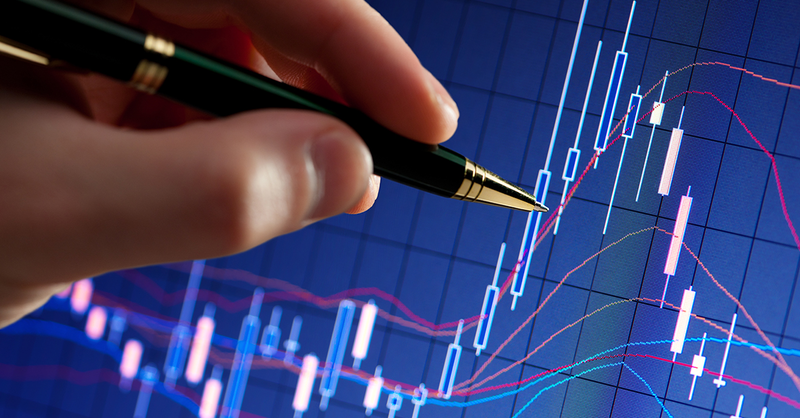 Daily Forex analysis is where price action strategies are most often applied. But we will get to this. Now let's discuss what a chart is. If put simply, charts are a graphic representation of a price quote sequence. They record the market's history, which is possibly the most precise and unilateral history in the world. The axes represent price (0Y) and time (0X); the field displays the price action itself. Whatever strategy is applied by a trader -- a long-term positional or short-term intraday -- he will begin with charting anyway. The West has been using charts since not long time ago. They were introduced at the Wall Street some hundred years ago, while the Far East knew how to put price quotes into candlesticks graphs even 300 years ago. They are called rice price quotes. Candlesticks are actually an embodiment of the price, which makes them a key tool of a technical trader. Forecasting price movements with a single use of candlesticks pattern is a strategy in itself. In order to be able to apply it, traders need to familiarize with the most common patterns and understand the fundamental forces that carve them – supply and demand. In fact, any trading strategy will perform better if it is logically tied to the notions of supply and demand. While bare candlesticks might be enough, there are more charting patterns that can be applied by investors. The most widely used of them are trend channels, support and resistance lines, triangles, flags, and many others. However, be aware that they are simply supporting constructions that cannot forecast future moves of the market. Apply them only for your convenience and better knowledge of past moves. Here's a disclaimer: you mind is beautiful! Human brain is the most sophisticated thing in the universe; however, it is extremely suggestive. We are keen to find visual patterns even where there are none. It happens because our brain strives to make the odd reality more understandable. It might suggest you that it's a plough on the skies, not a bunch of stars; that it's a Mickey Mouse, not a cloud; or even that a human face is visible on the Mars' surface, where there is none. You must have got the point. In fact, different traders see different patterns on the same chart. Moreover, even the same trader might see the same chart differently at different moments of time. Given that, supportive constructions should only be used to support, not affect your trading decisions. Supply and demand should be the primary arguments! If you have a trading platform and opened it, then you must have seen a technical indicator. Let us break them into two large groups for simplicity. The first group is trend followers – they are moving averages, MACD, ADX or Ichimoku. They indicate the strength and the direction of a trend. Note this is not necessarily indication of the price action direction. The second group is called oscillators; they show turnarounds and include RSI, Stochastic, or Parabolic SAR. In theory, trend indicators perform great in markets that trend, while oscillators are better used for markets that range. Other indicators are located in between, like Bollinger Bands. This one is able to track a trend with a variation of an MA, as well as predict turnarounds with the price range channel. Volume-based indicators are also at hand for investors. Trading volume has always been a defining factor for supply and demand in financial trading; however, it cannot be measured precisely in the Forex spot market for it's an OTC market. We'll get back to this later. To sum up with, technical indicators are not perfect. They lag behind the price and are redrawn after a candle closes. Used separately, they usually fail, so traders often combine them to complement one another. Expert traders might suggest you to keep your charts clean and simple – and this means not to abuse the technical tools. In general, trading strategies built solely on technicals do not give traders a competitive advantage. In general, fundamental FX trading analysis is not the instrument to give you exact enter and exit points for trades. Nevertheless, knowledgeable traders are able to forecast market movements with it in the long run. The hook in purely economic fundamentals is that despite countries act to a large extent like companies, currencies do not act quite like stocks. For companies, their financial health is directly dependent on the price of its stocks. With countries this relevance differs, though. A growing economy of a state does not inevitably lead to increase in its currency's relative value. It happens because this relative value depends on many factors – not only economic indicators, but also national monetary policy, global technological improvements, international events, and even natural disasters. Purchase power parity. This theory states that the price of goods remains the same after the currency rate is adjusted. If the price is not the same, this offers a trading opportunity. Interest rate parity. This theory resembles the previous one, but instead of goods it says that financial assets should cost the same in different countries after the interest rate is adjusted. Balance payment theory. This one concerns a state's trade balance. It assumes that if import of goods and services is higher than export, the national currency will decrease in value. Real interest rate definition model. This theory repeats IRP and states that currencies with higher interest rates will go up in price against currencies with lower rates because they are more appealing for investors. Asset market model. This one resembles trading balance and is about inflow and outflow of foreign money. The more foreign investment, it says, the higher goes the price of the national currency. In addition to these theories above, Forex weekly analysis is also affected by raw national economic data. Indicators such as interest rates, GDP, retail sales, employment data, inflation, trade balance, durable goods and others can have an impact on the market in a short run after their announcement. This approach is deemed the most effective method to measure supply and demand in addition to price action. However, it also has its restrictions. Sentiment-based method measures open interest, or open trades, which directly indicate supply and demand. The whole idea is imitated from the stock market: market sentiment might be changing if trade volumes increase and open interest decreases. The Forex spot market is traded over-the-counter, which makes measuring trading volume and open interest impossible. Another helpful instrument for traders to sense the market sentiment is the Commitment of Traders report for the Forex futures market. It has two flaws. First is that Forex futures daily volumes is $100 billion compared to the Forex spot of $1.5 trillion. Second, 'big fish' in the market include both speculators and hedgers. Speculators buy more with the bullish trend, while hedgers sell more with the same trend. 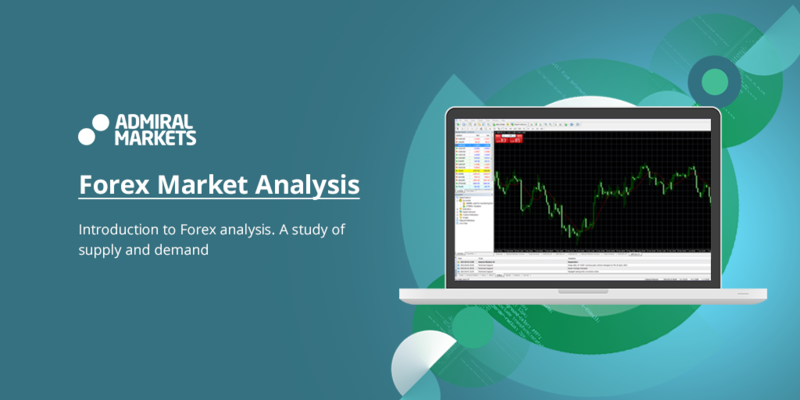 Given the large number of factors to study, Forex trading analysis gives you an opportunity for lots of thinking. But first of all, choose strategies that suit you best – it might be solely technical analysis, fundamental analysis, of both mixed together. It is recommended for a trader to look at fundamentals like interest and inflation rates, trade balance, market sentiment and other in order to grasp the bigger picture. But in short runs currencies do not move straightly, which offers a lot of short-term price action to benefit from. This is where technical analysis can help. Whatever analysis you choose to apply, try to trace its logic back to the theory of market supply and demand. If it makes sense then, act on it. If not, continue thinking on this matter.